With so many day-to-day concerns vying for attention, many farmers may not have the time to stop and research alternative ways to address their energy needs and rising utility costs. While having heard that renewable energies, such as solar or wind energy, are becoming increasingly popular, there does not seem to be a way for them to reap the benefits without a significant amount of capital available. However, due to advancements in technology and market availability due to new leasing models, distributed generation is changing the way farmers gain access to and manage their cost of power. While many people are familiar with distributed solar energy (such as installing solar panels on your rooftop), distributed wind is becoming a new option for property owners. Unlike a traditional utility-scale wind farm, distributed wind is the use of smaller, on-site wind turbines for a home or business owner’s personal power supply. Established wind companies are now bringing distributed wind to the masses by providing a turbine leasing solution to farmers looking to benefit from predictable and affordable energy. Innovations in wind turbine technology have helped fuel growth in the industry for many years. According to the American Wind Energy Association (AWEA), the average price of U.S. wind power has declined by 43 percent since 2009. As a result, distributed wind is just beginning to take off as a viable alternative for farmers, small businesses, and residents in more rural areas. This recent uptick is due in large part to new leasing models becoming available to businesses and property owners — negating the historical need for the sizeable capital investment that comes with owning a turbine. Distributed wind companies are beginning to serve this previously overlooked customer base by offering farmers and agricultural businesses stability and predictability when it comes to their utility bills. With the knowledge that their utility bills will be predictable every month, farmers now have a hedge against inflation and the flexibility to direct more money back into their business, spurring organic growth rather than just keeping the lights on. Historically, if farmers were interested in switching to wind energy, an initial capital investment of tens of thousands of dollars was needed for the outright purchase of a turbine. With new long-term leasing options now available and eliminating those high upfront costs, distributed wind is becoming a realistic alternative energy option for farmers nationwide. Along with guaranteeing predictable energy production, distributed wind companies are taking the hassle out of wind project development, including taking care of the paperwork and permitting process, which has been a deterrent for potential owners up until this point. Farmers can now keep focused on day-to-day operational matters with the comfort of knowing that their energy supplier is handling these tedious and time-consuming processes. Distributed wind providers are also working with local contractors and government entities to ensure the installation of turbines runs smoothly and efficiently, with minimal disruption to a farm’s operations. Some wind companies are even offering ongoing maintenance services to monitor performance and safety of the wind turbines, and customers are guaranteed these services throughout a 20-year lease period. United Wind's leasing process begins with an evaluation in which the customer shares a brief history of their utility bill in order to realize how much they will save by going with distributed wind. The customer then receives a custom WindQuote which includes a full wind analysis and personalized leasing options. Lastly, the installation process begins. As for pricing, customers are able to score a $0 down lease in New York State due to strong incentives from NYSERDA. A few other states also fall into this category, as well. The customer can opt to prepay a portion or the entirety of their lease for even greater savings over time. We find that even with the $0 down option, many clients have opted to prepay in order to reap these additional benefits. Assuming the customer did not full prepay their lease, a monthly lease payment can vary greatly, but generally runs between $100-$1,000 depending on turbine selection, amount prepaid (if any), and their wind resource. Fully prepaying a lease would be a fraction of the cost of an outright purchase of a machine. Not to mention that a fully prepaid lease can come with a 20-year production guarantee, warranty, maintenance, and insurance. In order to stand behind the machines with a production guarantee, warranty, insurance, and maintenance for 20 years, we work with only the best products in the industry, for example Bergey Wind Power's Excel 10-kW turbine and Endurance Wind Power's E-3120 50-kW turbine. Similarly, the company chooses to work with only the top local installers in the areas where the turbines are being erected, such as CEC (Casenovia Equipment Company) Energy and SED (Sustainable Energy Developments). •Access to wind: Wind is an unlimited resource. While we all have access to it, research has found that an average wind speed of just 10 MPH provides a great starting point for wind energy collection. •Access to land: While land is not always readily available, it does not take a lot to accommodate smaller wind turbines, with a general recommendation of three acres or more for proper siting, installation, and unobstructed wind flow. Bottom line, distributed wind energy is becoming more accessible, more desirable, and more financially viable than ever before, particularly for the agricultural market. With barriers to adoption blowing away, this efficient and cost effective means of powering our nation’s farms has a bright future. What’s New In Wind Technology? A range of leading wind turbine and main components suppliers, specialized service providers, inventors and others came together for Windpower 2014. Our technology correspondent summarizes some of his personal impressions and highlights. UNITED STATES: Figures from the AWEA reveal the US installed a capacity of 835MW in the first half of 2014, compared to just 1.6MW in the same period of 2013. Last year's low figure was as a result of uncertainty in the sector due to the delayed extension of the production tax credit (PTC). Texas saw the greatest increase in capacity, with 400MW installed followed by Nebraska (201MW) and Michigan (136MW). The southern US state was helped by the 218.3MW Panhandle 1 project being commissioned in the second quarter. According to AWEA, the US now has an installed capacity of 61.9GW from 46,300 turbines. Texas is set to continue leading the way with capacity, as over 8GW in projects are currently under construction in the state. In total, the US has 14.6GW of wind under construction across 106 projects in 21 states. ABB Ltd. said a power-cable technology that allows offshore wind farms to transmit more than twice the energy of current set-ups will boost orders at the company’s power systems division in coming years. The technology will spur the construction of even bigger offshore wind farms by doubling the power capacity of cable connections to about 2,600 megawatts from 1,000 megawatts today, making it the most powerful subsea connection system in the world, Rytoft said. It includes high-voltage power cables, joints and terminations. Excellent! Ocean currents are THE greatest source of untapped 24/7 base load quality Renewable Energy there is. AND those currents (that will never stop as long as the earth continues to rotate) are close to over 90% of the major concentrations of human population known as COASTAL CITIES. 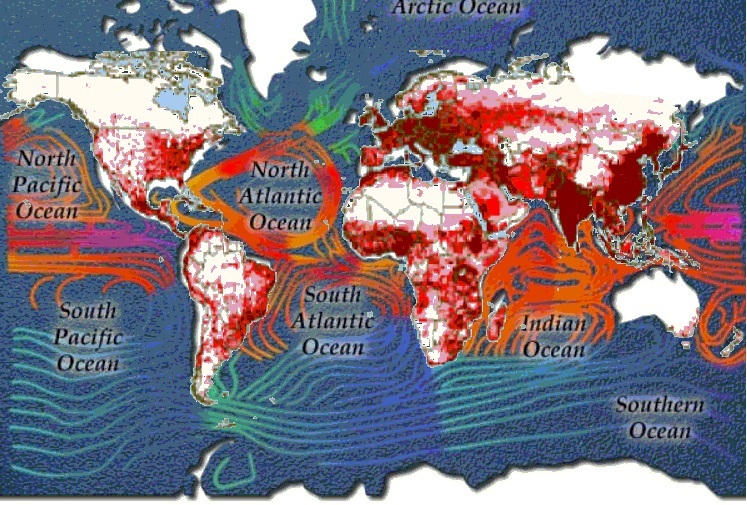 Within a 130 km of every major coastal city in the world is enough undersea current to power them many times over, at base load quality 24/7, immune to ocean surface storms, and with very low transmission losses due to the short distance from the harvesting point to the user. There is no doubt that humans in general, and those concentrated in cities in particular, are responsible for much of the massive demand for potable of water and energy. There is also agreement that this demand is, at present not healthy for the biosphere in general and humans in particular. There is too much waste, inefficient energy use, lack of renewable energy infrastructure, pollution from fossil fuels and inefficient water use as well. In summary, there is a consensus among knowledgeable and observant people in the reality based community that our present trajectory in the above issues is unsustainable. The solution requires the phasing out of all fossil fuels and nuclear fission power plants and replace them with Renewable energy. This energy needs to be harvested within 100 miles or less from the highest energy users on the planet, the large cities, in order to have lower transmission and infrastructure costs. The energy must be baseload quality 24 hours a day with wind and solar to supplement demand spikes along with pumped water storage energy, fuel cell or battery storage technologies. The renewable energy source that is best suited on a global scale because it is constant, powerful and close to the major cities is the energy from ocean currents. Observe the two maps below. Now look at the one below where I merged the two. The energy is renewable, does not disturb the biosphere or hydrosphere and can completely replace the polluting energy we now suffer from. The densely populated areas have this powerful source nearby. 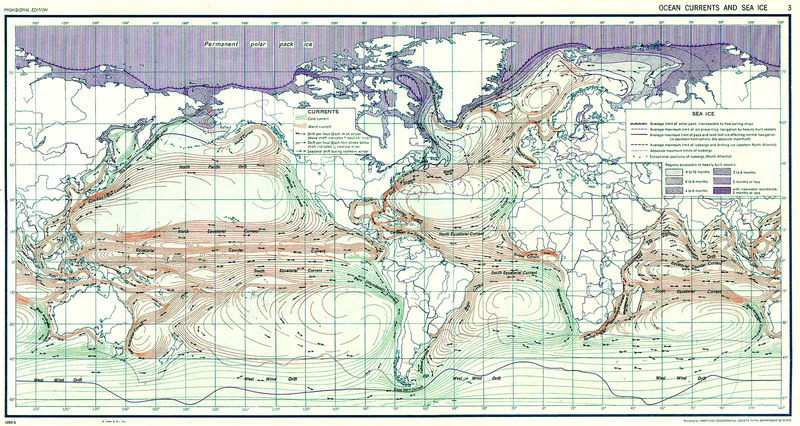 Ocean currents have far more energy potential than ocean tides. The tides alone are estimated to have a potential tidal stream energy capacity of over 120GW globally. Using both plus wind and PV would make a 100% Renewable Energy transition to the 18TW the planet required feasible with technology we now have. Just in the UK alone, the marine power resource is estimated to be more than 10GW, representing about 50% of Europe’s tidal energy capacity. In the USA a project is now in the works to provide wind turbine power to the East Coast for up to 1.9 million households. 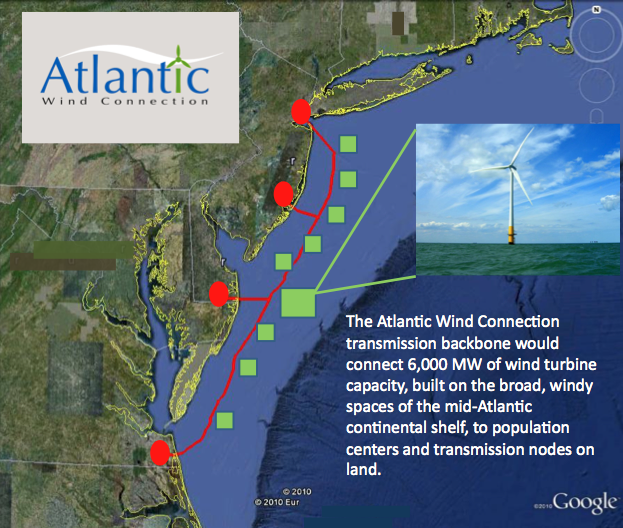 When built out, the Atlantic Wind Connection (AWC) backbone will stretch 350 miles off the coast from New Jersey to Virginia and will be able to connect 6,000MW of offshore wind turbines. Now look at where those wind turbines will be and realize that undersea turbines can be placed close by and save on cabling the energy to the shore. Much more energy can be harvested 24 hours a day from the ocean current. Sharing energy transmission cables from wind and ocean current turbines will save millions of dollars and hasten the transition to 100% clean energy. As the new, clean energy replaces dirty energy, full electrification of the economies to eliminate the internal combustion engine for power plants, vehicles and factories will clean the air in large cities. With plenty of renewable energy to electrify the planet and eliminate the internal combustion engine pollution, the worldwide potable water problem can be solved anywhere on the planet that the relative humidity is above 23% (any place it is not a desert climate) by extracting water from the ambient air. The waste water can, given all the ocean current energy, be processed for agricultural fertilizer (eliminating petrochemical fertilizers). In this way, we will imitate the biosphere in turning our waste into a nutrient that benefits all life on earth, not just humans. After modest growth in 2013, total installed wind power capacity in the United States now stands at 61 gigawatts (GW), which meets nearly 4.5 percent of electricity demand in an average year, according to the 2013 Wind Technologies Market Report, released today by the Energy Department and its Lawrence Berkeley National Laboratory. The report also found that wind energy prices – particularly in the Interior region of the United States–are at an all-time low, with utilities selecting wind as a cost-saving option. With utility-scale turbines installed in more than 39 states and territories, the success of the U.S. wind industry has had a ripple effect on the American economy, spurring more than $500 million in exports and supporting jobs related to development, siting, manufacturing, transportation and other industries. Thanks to filmmaker Jake Beed and the Action4Climate video competition, you can have a first-hand look at what it’s like to build a wind turbine from scratch. In If You Build It, watch a group of young Canadians strive for a more sustainable way of life by figuring out how to generate their own power via a homemade wind turbine. With little to no prior knowledge or experience, the group finds help in the surrounding community’s skill sets that all come together to create a moment that will last for as long as the wind blows. This film is inspiring. It shows how you can build a community by building a wind turbine and that passion is the key ingredient to getting things done. Renewable energy deployment is key to solving global energy issues. Especially in energy poor countries, it’s vital that communities embrace clean energy and work on strategies to keep the power generation locally owned. One great example is in the Dharnai village in Bihar, one of India’s poorest states. The community is now lit-up by a community-owned solar-powered micro-grid. Dharnai is the first village in India where all aspects of life are powered by solar. The 100 kilowatt (kW) system powers the 450 homes of the 2,400 residents, 50 commercial operations, two schools, a training center and a health care facility. A battery backup ensures power around the clock. Wind energy is blowing away skeptics — it's so close to achieving cost parity with fossil fuels that just a little extra efficiency is all that is likely needed to push it into the mainstream and past the Energy Department's goal of 20 percent wind energy by 2030. That extra efficiency may be realized with the help of a software tool built by the Energy Department's National Renewable Energy Laboratory (NREL). It's called Simulator for Wind Farm Applications (SOWFA), and it can calculate how undulating ground, whipping blades, surface temperatures, and other variables alter the air flow and energy production at wind farms. Wind turbines are found on land and sea, but now there’s a new type on the horizon that can tap energy thousands of feet in the air. 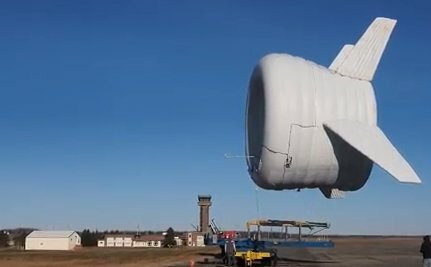 As the video below explains, the helium-filled Buoyant Airborne Turbine (BAT) is capable of producing twice the amount of energy of an ordinary turbine because it feeds off the stronger, faster and more consistent winds of higher altitudes. Cables tethered to the machine then send the generated wind energy back to a base station. Created by MIT startup Altaeros Energies, the tube-shaped BAT can be inflated, set up within a day and transported anywhere by a truck, which significantly reduces the installation costs of a typical tower-mounted wind turbines. This is in sharp contrast to other land-based turbines, which require giant support platforms and lots of material, and offshore ones that need a platform strong enough to withstand punishing ocean waves, which is tremendously expensive to anchor to the seafloor. Another potential of the BAT is that it can cheaply and efficiently power remote and off-grid communities (as well as areas struck by disaster). As Popular Science reports, one such off-grid locale has already been piqued by this new technology. Thanks to a $740,000 grant from the Alaska Energy Authority, Altaeros will be testing out the first commercial BAT near the city of Fairbanks starting next year. The 30-kilowatt system is poised to provide power and even WiFi to a dozen families living off the power grid. If the 18-month trial is a success, it could reduce the area’s diesel consumption by 11,000 gallons annually. It’s a bird! It’s a plane! It’s a wind turbine! Agelbert NOTE: This technology is aerostat technology. The technology of mounting heavy machinery on them is is over 30 years old. It has been used for at least that long to mount radar to catch drug smugglers and other unauthorized flights. It is robust. The savings on siting and mast infrastructure is HUGE. During storm conditions they can be brought near the ground where they will be more safely tethered while still getting plenty of wind power during the storm. This is another giant nail in fossil fuel and nuclear power DIRTY energy's coffin! GOOD! An industrial wind turbine is a complex machine made up of hundreds of moving parts, but it takes just three of them to make the magic possible: the blades. 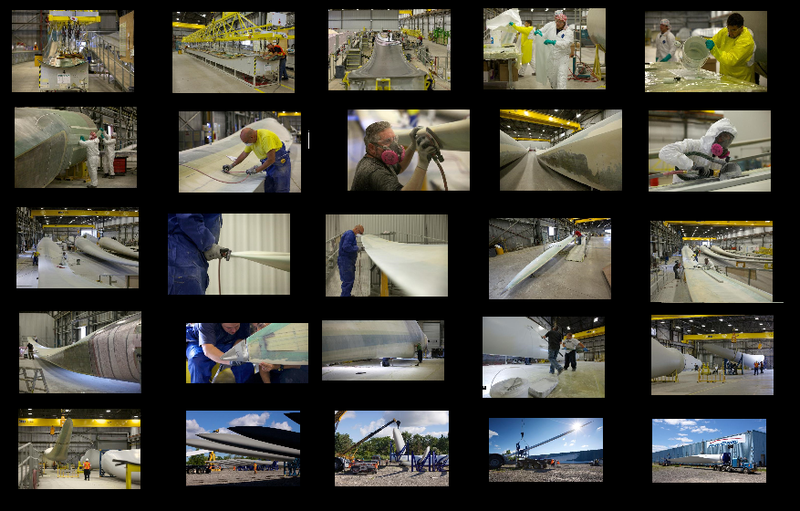 Wind turbine blades harvest energy from currents of air, but they don’t come off an assembly line like widgets. Indeed, it’s difficult to appreciate just how much effort and care goes into crafting them until you see the process up close. That’s why I was recently honoured to be the first professional photographer to lens the shop floor at PowerBlades Industries in Welland, Ontario. The company is a Canadian subsidiary of German wind turbine manufacturer Senvion. PowerBlades opened last year to support the growth in renewable energy in Ontario spurred in turn by the province’s Green Energy Act. 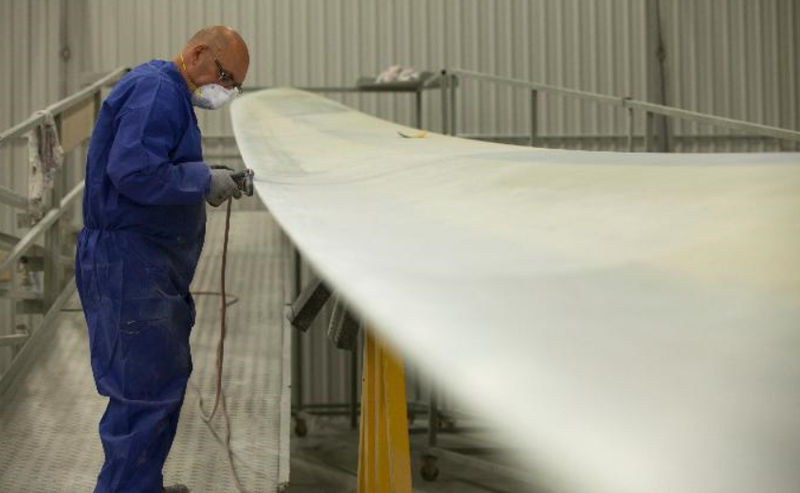 As of this week, the company will have fabricated 78 fiberglass blades, each 45 meters long and up to three meters wide, for dozens of 2.05-MW Senvion turbines. Inside PowerBlades, overhead cranes move girders and blades from one part of the building to the next. Here, 136 production workers, machine operators, and office staff work on various stages of blade production, including lay-up, lamination, curing, sanding, painting, inspection, repair, finishing, loading, and transport. Blades begin their lives in the plant’s Main Shell Area, where workers lay sheets of fiberglass mat and resin into a pair of side-by-side proprietary molds each about 50 meters long and four meters wide. Each blade is built up in two halves, split down the long axis like a pea pod. Once the resin cures, workers carefully glue the two halves together. Eight to 10 workers then physically climb into the blade to scrape out excess glue from the inside. They then apply heat to finish the curing and gluing process. Crane operators then gingerly lift the blade to the first of several finishing stations in a delicate process known as “going over the wall.” Over the course of several weeks, operators will lift and shift each blade to a variety of finishing stations for trimming, laminations, adding minor hardware (such as receptors and the pointed tip), sanding, painting, and “root end close out,” which involves installing a plywood attachment that seals off the base of the blade. Like sculptors, workers swarm over every inch of the blade with palm sanders, painstakingly and meticulously smoothing out bumps and imperfections, before the cranes again hoist the blades to the painting section. The final phase of finishing is refreshingly low-tech — four painters, two on each side, attack each blade with rollers. Each takes two coats of paint, about 15-20 gallons in total. On average, it takes a couple of days for the team to finish its work. Gantry operators then lift the finished blades one final time into shipping crates and convey them out of the building into the storage yard. From there, Senvion’s clients truck them to installation sites. The crew at PowerBlades take great pride in their work, knowing that they are not only making a good living, but also slowly-but-surely reducing their province’s dependence on natural gas and nuclear energy. Click HERE to see the step-by-step process. According to new numbers published by WWF Scotland this week, wind turbines generated enough electricity in October to power 3,045,000 homes in the U.K. — more than enough for all the homes in Scotland. Based on figures provided by WeatherEnergy, part of the European EnergizAIR project, the data also showed that for those homes fitted with solar panels, there was enough sunshine to meet around 40 percent of the electricity needs of an average home. Wind energy has been thriving in the U.K. in recent months. In August the U.K set a new record for wind power generation, with wind accounting for seventeen percent of national demand. This came around the time that EDF Energy announced it was temporarily shutting down four of its U.K. reactors, or around a quarter of its total nuclear generating capacity, due to longevity issues. The four EDF reactors under investigation were commissioned in 1983 and are officially scheduled to be taken out of service in 2019. Even for the U.K., Scotland is a green energy leader. As of September, the country got 29.8 percent of its electricity from renewables, 34.4 percent from nuclear, and only 34.4 percent from fossil fuels. Scotland hopes to generate the equivalent of 100 percent of its electricity from renewables by 2020 and to export non-renewable production from conventional power plants to countries like England. In the first quarter of this year, Scotland generated a record 6,678 gigawatt-hours of renewable electricity, according to government figures, an increase of 55.9 percent from a year before. Wind generation in the first quarter of 2014 was also at a record high level of 4,214 GWh, up 4 percent year over year. According to the government, as of March of this year Scotland had 6.8 gigawatts of installed renewable electricity generation capacity, with an additional 6.5 gigawatts of capacity either under construction or consented, the majority of which is expected to come from onshore wind generation. Including projects in the planning stages, this figure totals 20.5 gigawatts. Scotland’s largest wind farm is also the U.K.’s largest. Whitelee Windfarm near Glasgow has a 539 megawatt capacity, and generates enough electricity to power just under 300,000 homes. Natural Gas Combined Cycle Power Plants ARE GOING BYE BYE! Power grids need extra generating capacity to work properly. For example, about 20 percent of New York State’s generation fleet runs less than 250 hours a year. 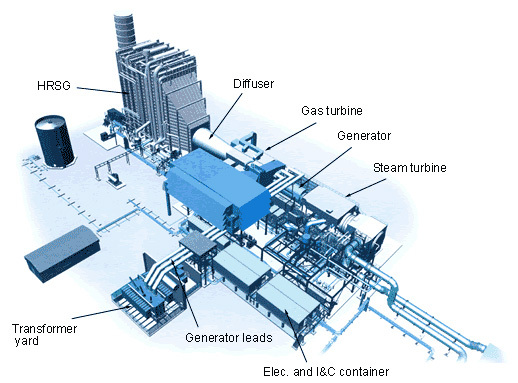 Because they don’t run much, “peaker plants” are by design the cheapest and least efficient fossil generators. When they do run they cost a lot to operate and produce more air pollution than other types of fossil generation. Wouldn’t it be great if we had a cost-effective and environmentally sustainable substitute for dirty fossil-based peakers? As has happened with solar PV, the costs for multi-hour energy storage are about to undergo a steep decline over the next 2 to 3 years. This cost trend will disrupt the economic rationale for gas-fired simple cycle combustion turbines (CTs) in favor of flexible zero emissions energy storage. This will be especially true for storage assets owned and operated by vertical utilities and distributed near utility substations. Simple cycle gas-fired CTs have been a workhorse utility asset for adding new peaker capacity for decades. But times and technologies change, and the power grid’s long love affair with gas-fired CTs is about to be challenged by multi-hour energy storage. Flow batteries that utilize a liquid electrolyte are especially cost-effective because the energy they store can be easily and inexpensively increased just by adding more electrolyte. CTs cost from $670 per installed kilowatt to more than twice that much for CT’s located in urban areas. 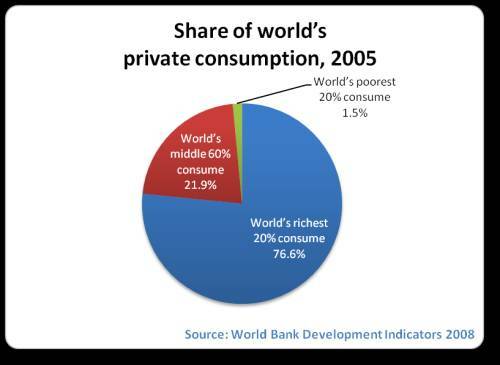 But the economics of peaking capacity must also reflect the benefits side of the cost/benefit equation. Distributed storage assets can deliver both regional (transmission) and local (distribution) level energy balancing services using the same storage asset. This means the locational value and capacity use factor for distributed storage can be significantly higher compared to CTs operated on a central station basis. These points are discussed in Energy Strategies Group’s white paper, “Guide to Procurement of Flexible Peaking Capacity: Energy Storage of Combustion Turbines.” As noted in the paper, Capex for a 4-hour storage peaker is projected to be $1,390 by 2017, or $348 per (installed) kilowatt-hour of capacity. Factoring in the added value of locating storage on the distribution grid and ownership and operation by a vertical utility, 4-hour energy storage will win over CTs at the high end of the CT cost range by 2017. By 2018 the cost of ViZn Energy’s 4-hour storage solution, which was selected by Energy Strategies Group as a proxy for the lowest cost multi-hour storage solutions currently being commercialized, is projected to be $974 per kW, nearly identical to that of a conventional simple cycle peaker. For a 4-hour storage resource – that translates to $244 per (installed) kilowatt-hour of capacity. Given the added benefits of installing storage in the distribution network, by 2018 storage will be a winner against the mid-range cost for a simple cycle CT and clearly disruptive compared to higher cost simple cycle CTs. The disruptive potential of energy storage as a substitute for simple cycle CTs has been recognized. For example, Arizona Public Service (APS) and the Residential Utility Consumer Office (RUCO) recently filed a proposed settlement which, if approved, would require that at least 10% of any new peaker capacity now being planned as simple cycle combustion turbines would instead need to be energy storage — as long as the storage meets the cost effectiveness and reliability criteria of any CTs being proposed. When selecting new peaking capacity, utility planners can choose between assets that better fit the emerging distributed grid architecture or the older and disappearing centralized approach to grid design. The choices we make today should be consistent with current and long-term cost-performance trends in fossil-based generation, solar PV and energy storage.